Great location in the established Swan Pointe Community. Featuring an open floor plan, 9' ceilings, wood blinds & updated flooring. Enclosed sun room with heating & cooling. The spacious master bath offers dual sinks, separate walk-in shower & garden tub, large walk-in closet plus a second closet Sunny & spacious 2nd BR. Conveniently located mud room & laundry. Gas fireplace in the Great Room. Large extra storage room. Community amenities incl. fitness center, pool & clubhouse. Lots of neighborhood activities. Average LG & E bill $120/month. Easy living in the Heart of Middletown! Swan Pointe is a subdivision within the city of Louisville, Kentucky. There are currently 2 Homes for Sale within Swan Pointe, with asking prices ranging from $169,900 to $249,900. The average list price per square foot of the available inventory in Swan Pointe is $126, which is below the Louisville average of $156. The Average Sales price of all sold real estate in this subdivision for the past year is $160,479. Recent comparable homes have been selling for 98.11% of their asking price. Waterfront homes represent 0.00% of the available Swan Pointe inventory. The population of Louisville, according to the 2010 Census, is 597,337. The total number of households in the zip code of Swan Pointe is 4,595, with an average household size for of 2.20 people. The total number of renter households within the zip code of 40243 is 1,328, which means that 71.10% of households in this zipcode are owner occupant households. 12524 Nursery Ln, Louisville KY 40243 is a Condo, with 2 bedrooms which is recently sold, it has 1,845 sqft, < 1/4 ACRE sized lot, and 2 Car Garage,Attached,Entry Front parking. 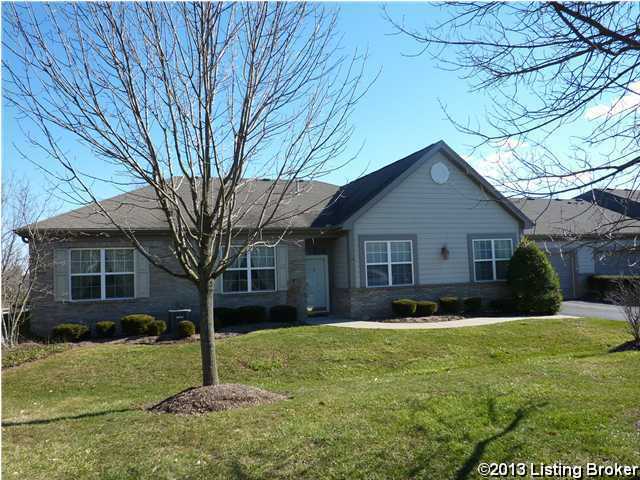 A comparable Condo, has 2 bedrooms and 2.5 baths, it was built in and is located at 12525 Nursery Ln Louisville KY 40243 and for sale by its owner at $ 249,900. This home is located in the city of Louisville , in zip code 40243, this Jefferson County Condo, it is in the SWAN POINTE Subdivision, and Douglass Hills are nearby neighborhoods.